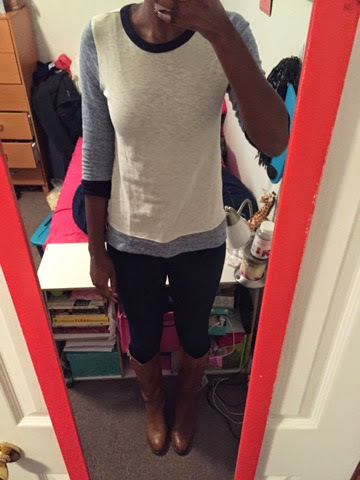 I don't really post too many of my outfits from class because they are somewhat the same and boring. State College weather does not do too much for the imagination. I usually take a picture everyday to share with my friends Bryne and Bri because they do not Snapchat. Here is what I look like on a typical basis. I love smaller statement necklaces for class. They add a little pop on days when I don't really feel like wearing anything fancy. They go with everything and I love layering them with sweaters. 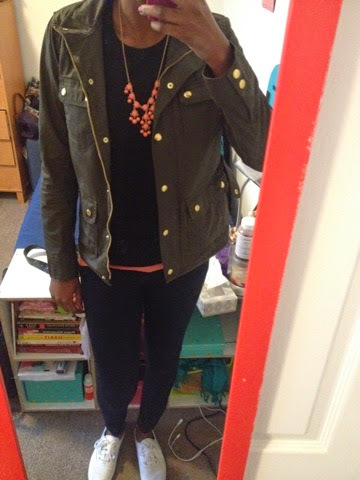 I'm always cold in classrooms but hot after walking to class so layers are key. I talked about my love for this baseball tee previously. It's super comfy and I love the color blocking! These boots are awesome! So comfy and they are a little heeled which I love! 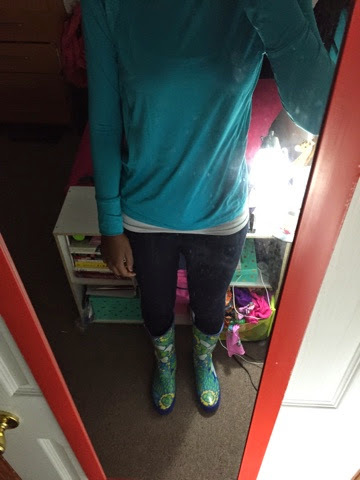 This is a typical rainy day outfit for me. When it gets colder, I switch out the long sleeve tee for a sweater. I had a ton of meetings this day and I love pullovers for that kind of days. They are so comfy but still dressed up enough to make me feel comfortable talking to people I admire in the College of Engineering. I always buy them bigger so that I can wear skinny jeans or leggings underneath. I had a phone interview, lunch with a alumni and a couple other things to do so I threw on this long tunic and it was a perfect choice. It warmed up a little later in the day and I didn't need a jacket! It also looks great tucked into high waisted jeans with big earrings. On Tuesday, the high was 80 degrees! 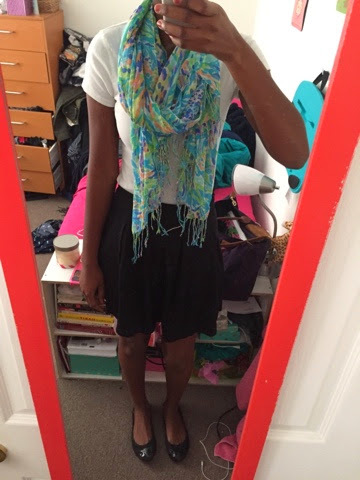 I wore a skirt because I hate wearing pants longer than necessary and this Lilly Murfee Scarf I picked up during the End of Summer sale. 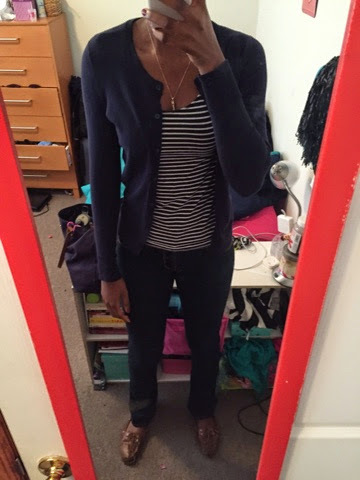 It was like a little cardigan in colder rooms and added so much color to my outfit. When I go out, I tend to keep it really simple. 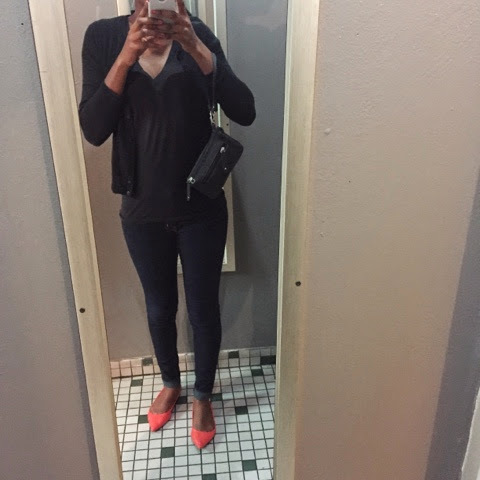 Outfits like the one below make it easy for me transition from bar to bar and keep warm when it get a little chilly at night. 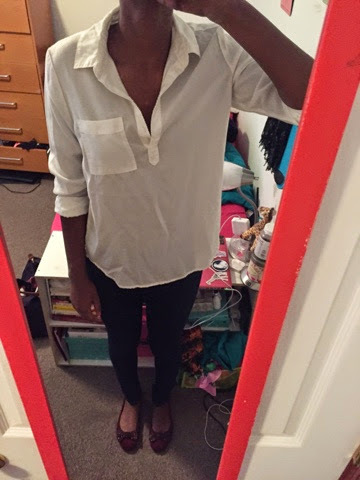 Every once in a while, I will post a round up of my favorite outfits and post them for fun. 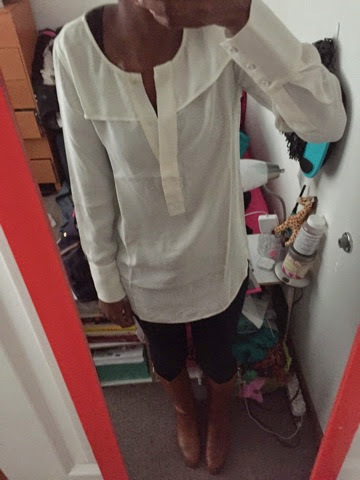 Hopefully, you can get some inspiration on what to wear to class or out at night!